Walking into the world-renowned Japanese make-up brand, Shu Uemura, is like walking into a make-up wonderland for me - my heart races, my step hurries, and I find myself doing my mirror face in every mirror - I'm shu in love! I couldn't help but be enamoured with the renewed concept and look of the brand. I'm in love with this store, and it's definitely the mecca of skincare and make-up junkie. So, are you ready for the new shu? Here's a sneak peek! Shu Uemura recently opened the doors of its newest flagship store at the Powerplant Mall, the first boutique in the Philippines. Located at the 2nd level, the store features a new interactive retail design. I was lucky to be one of the selected guests for an exclusive walk-through of the new store today, giving us the first look into what the new Shu is all about. The new retail concept is inspired by Tokyo, a city known for its cutting-edge fashion, creativity and cool trends, and the birthplace of the brand, The store’s new look is vibrant, sensorial and alive, with neon lights, quirky chairs and live-moving screens that take customers on a unique journey that is in itself reminiscent of the glimmering city. The color expression also comes alive in the new flagship store, with color bars and bays that showcase the brand’s full range of make-up products. This elevates the vision of Mr. Shu Uemura himself to create an ‘open atelier’ environment that allow customers to explore, try, and find their perfect look. During the exclusive event, we were joined by esteemed shu Masters Ej Mallorca, Patrick Alcober and Riza de Guzman. These experts carry the brand’s artistic make-up vision and mastery of make-up technique – and they were present to walk us through the six key sections of the new flagship store: shuCOLORBAR, shuATELIER, shuSKINshuLASH, shuBEST, shuLIVE,and shuGIFT. 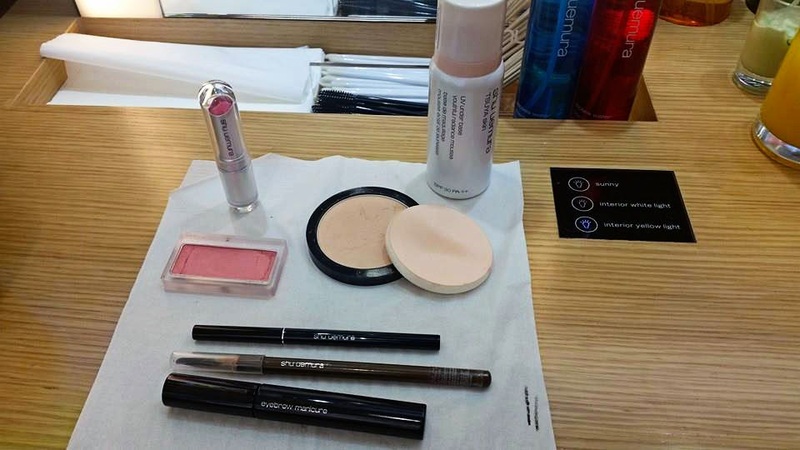 shuCOLORBAR: This area is where you can ask the stylist what is the best primer, blush on or foundation to try. You can also play with colors and choose the one that best suits you. shuATELIER: This is where the action happens! 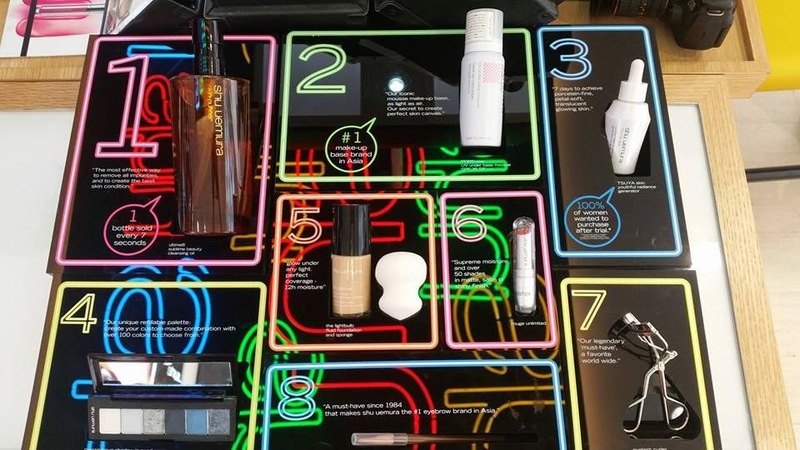 Right at the heart of the new retail space is the shuATELIER, a consultation and display area that showcases all of Shu Uemura’s make-up products, from foundation to drawing pencils, and eye shadows to lipsticks. The profusion of products here enhances the ‘touch and feel’ vision of the brand’s founder and provides a fun & playful make-up experience. It comes with wash basins, makeup tools and displays Shu Uemura’s full range of their super famous oil cleansers. But something that really piqued my interest is the lighting. It comes with these three choices of lighting conditions - sunny, interior white light, and interior yellow light – to ensure that the make up you apply will have the same effect in the conditions you plan to wear it at! How brilliant. shuLASH: From Avant-garde to natural looking lashes, the shuLASH station allows customers to discover the iconic collection of eyelashes. 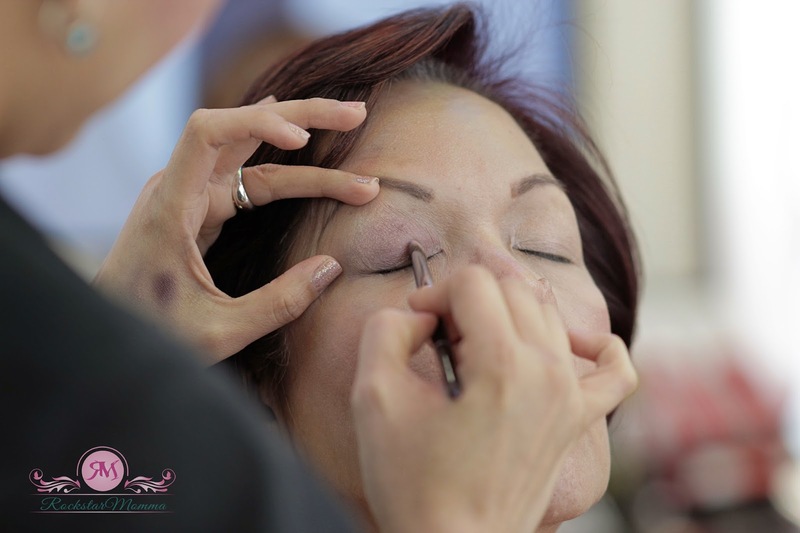 Shu’s Beauty Stylists also interact with customers in this area to help them discover and enhance their look through different kinds of eyelashes that the brand has to offer. shuLIVE: The brand comes to life at the new shuLIVE station, where customers can watch behind-the-scenes videos and make-up demos of International Artistic Director Kakuyasu Uchiide and the rest of the shu elite team. shuGIFT: This area includes collector’s items, limited editions, and new collections are featured at the shuGIFT section, making it easier for customers to find the perfect presents for any occasion. Every month, they have limited edition pouches or mesh bags that can be given as gifts as well. Shu Uemura Cleansing Oil - FYI, 1 bottle sold every 7 seconds! POREraser UV Under base mousse SPF 35 +++ - Light as air! After the brief walk-through of the store, I ended up getting my whole face done with no pressure at all to purchase. Sweet! 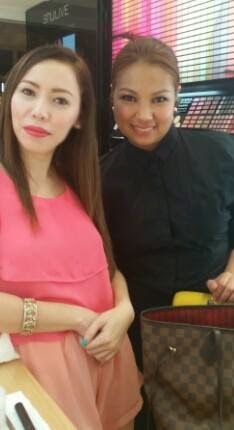 ShuMaster, Riza de Guzman, was the makeup artist who helped me out, and after a few questions, she knew to keep things simple and showed me everything, step by step. She was extremely patient with my lack of knowledge about how to apply eyeliner, eyelashes - oh wait, um everything. She gave me a makeover ( a serious brow shaping and reconstruction) and gave some recommendations + honest suggestions on what type of products to try. I've been to other stores of Shu before and I like that they don't push you into certain products which you have no desire to try. However, there's a lash bar that I always eyed but never tried, so I will definitely come back soon. Honestly, it's hard to shop anywhere else after visiting Shu Uemura at the Powerplant Mall. Beautiful space, quality products, and knowledgeable/professional Shu Masters. 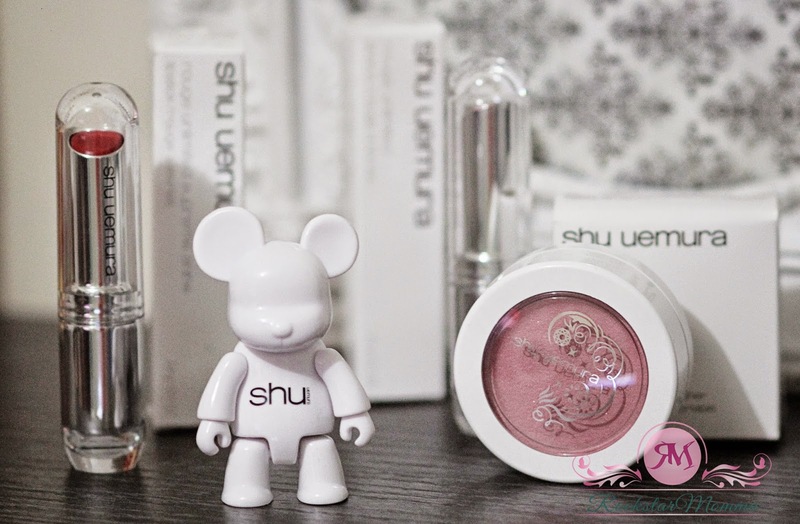 Coupled with the brand’s longstanding make-up expertise and the new design features, the new shu store is set to deliver a more exciting and irresistible beauty experience. Oh, and how cute is this USB Shu Uemura Qee Bear? Ain't he the cutest USB bear? from the lipstick to blushes it makes me want it all..!!! haha :D I wanna try it! no doubt these are the.best sellers! I wish I could try this all!